Friday & Saturday concerts are SOLD OUT! Substrata 1.5 is the fifth (and possibly final?) edition of Seattle’s intimate sound & visual art weekend curated by composer Rafael Anton Irisarri and co-presented with Nonsequitur. Each showcase is curated to distinctly portray different takes of the potency of minimalism, varying between weighty combinations of tonalities used to sculpt atmospheric ambiance, or powerful dynamic structures made up of the subtlest filigree of sonic building materials. The inaugural evening of this year’s Substrata is as far ranging in its forms as in the approaches employed in creating them. Spanning the spaces between software sound sculpting and acoustic fingerpicking, it is a night of great variance and broad stylistic references. From progressive branches of the songwriting continuance, to chamber music describing a formalistic dialog between natural patternwork and the piano, to tapestries of electro-acoustic sound design and rhythm structures. The three artists touching on multitudinous points throughout the last century of modern music, the only constant their transcending of collocation and the constraints of singular genre concerns. Substrata’s second night plays host to three artists as stylistically varied in their approaches as the sound sources and the materials used to construct them. Each of them internationally recognized in their own right, over decades of work all three composers have established themselves as masters working within their respective form. From the meditative electronic fringes of sound-art to the bewildering cascade of 20th-century Continuous Music to the re-purposing of classical instrumentation to the milieu of underground rock. Journeying the states of hypnotic untethered repetition, dynamic counterpoint and the exudation of tonalities and sympathetic resonances. 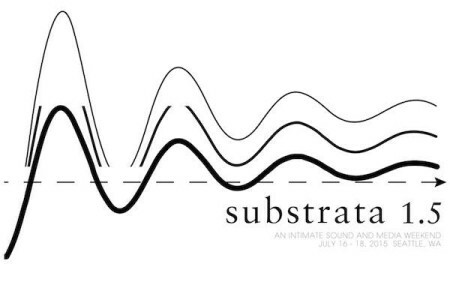 Substrata’s third and final night will be another one of polychromous variations from the evolving field of electro-acoustic music in its intersection with chamber music, improvisation and non-rock forms. Dismantling the synthesizer & piano’s central role in popular music for larger, more expansive frontiers. Each of the evening’s performers taking on the binate role of explorer and cartographer to these territories referencing familiar purlieus, yet deviating into realms entirely their own. They will be our guides to spaces of pellucid composition and microscopic sound renderings, through passages of recondite timbral ambiguity, melodic rapture and buffeting tumult. Composer/pianist Lubomyr Melnyk will conduct a 3-hour workshop for pianists at all levels of ability. During the workshop, you’ll learn to develop strength in your fingers and improve your agility and mental control. Afterward, Lubomyr will focus on his “continuous music” style. Here you will learn the art of playing different patterns simultaneously in each hand and discover the wonderful possibilities of this piano technique Lubomyr has pioneered since the 1970s. Strictly limited to 15 participants. Tickets are $65 and available here. Non-refundable. Please do not purchase if you are not fully committed to attend. Workshop agenda and schedule to be communicated via email.